I am so excited about Fantastic Beasts and Where to Find Them: The Original Screenplay for months. Just like when I was so excited about the film. Fantastic Beasts and Where to Find Them (2016) is a great film indeed and I expect nothing less from the book. Fantastic Beasts and Where to Find Them: The Original Screenplay is a light book and I believe I can finish reading it in just a day or two. However, I happened to be watching The K2 (2016) first and therefore, I didn’t read this book first. I expect Fantastic Beasts and Where to Find Them: The Original Screenplay is more precise and explained many things that are unexplainable. I get some explanations but not much. Too few, actually, but still it is a great book. I personally suggest you watch the film first before reading the book. It’s good for imagining things when you read the book if you have watched the film. However, if you are not really a Potterhead, I don’t think you want to read the book after you watch the film. 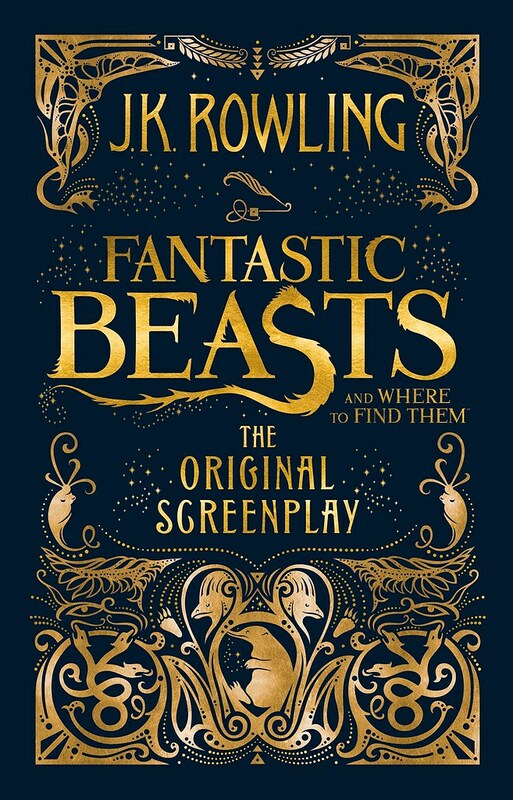 Not to spoil anything, but Fantastic Beasts and Where to Find Them: The Original Screenplay is indeed a film script given a cover. It is in fact, a film screenplay so you can’t expect more than that. It’s not a novel like the previous Harry Potter books we have read before. It is truly a screenplay. Despite expecting more, I truly feel amazed with J. K. Rowling. I mean, she used to write a novel and now she deflects to a screenplay. It’s not an easy thing to do. I mean, in a novel, you will write everything really descriptive. Everything is explained thoroughly in a narrative way. In a screenplay, you must explain everything briefly yet at the same time already explained everything. You won’t be able to do it in a narrative way anymore. However, J. K. Rowling seemed to not having that problem at all. She is still able to write everything very detailed. She’s just awesome. When you read the book, you’ll know how much Eddie Redmayne was very dedicated during the filming. There are some scenes that weren’t described much but somehow Eddie Redmayne can do it in totality. For example, the mating dance scene isn’t described very detailed in the book but somehow when I watched the film, I can see how serious Eddie Redmayne in playing his role. I think he really suits the role and I can’t think of any other actors who can play Newt Scamander. He’s just great. Besides Eddie Redmayne, I think the design production team have really done a great job. They can really make everything describes by J. K. Rowling real. It’s just awesome. Anyway, since I am not here to discuss the film, let’s move on. Jacob: Tell me—has anyone ever believed you when you told them not to worry? I wish there are some differences between the film and the book, or to be exact some additional information. There are, but I think it’s just not much. Perhaps because I am very used to the fact that Harry Potter books have always more information and more scenes than the film, that is why when I found about this original screenplay, I kind of not used to it. Nonetheless, the book is still interesting to me. It is so J. K. Rowling. Somehow I get more of Rowling from this book than Harry Potter and the Cursed Child. Regardless, both books have treated our longing for the Wizarding World. I am so excited to see another period of time from the Wizarding World. I just can’t wait to read the second book of the original screenplay. I wish it would be a novel next, but I don’t think so. In any case, I am still happy to have another chance visiting the Wizarding World. J. K. Rowling is just an awesome author. No wonder she is one of my favourite authors. She really has great imaginations. All the names of the magical beasts and terms were made up by her. Super creative! I don’t know how she did it. The spells are still there. It’s truly a treat for my longing—Potterhead’s longing. J. K. Rowling is just incredible. I kind find another word to describe her. She is just too awesome. I am speechless. I can’t believe she can develop a textbook of Harry Potter into a major story like this. If you first read Fantastic Beasts and Where to Find Them, the textbook one, you wouldn’t have imagined that it will have an extraordinary story like this one. But then again, it’s J. K. Rowling we’re talking about. There’s always a background story in everyone in her world. I wish this book is a novel and has more additional information in it. Regardless, it is still a great great book and I love love it so much! Hence, I give Fantastic Beasts and Where to Find Them: The Original Screenplay 4.5 out of 5 stars.